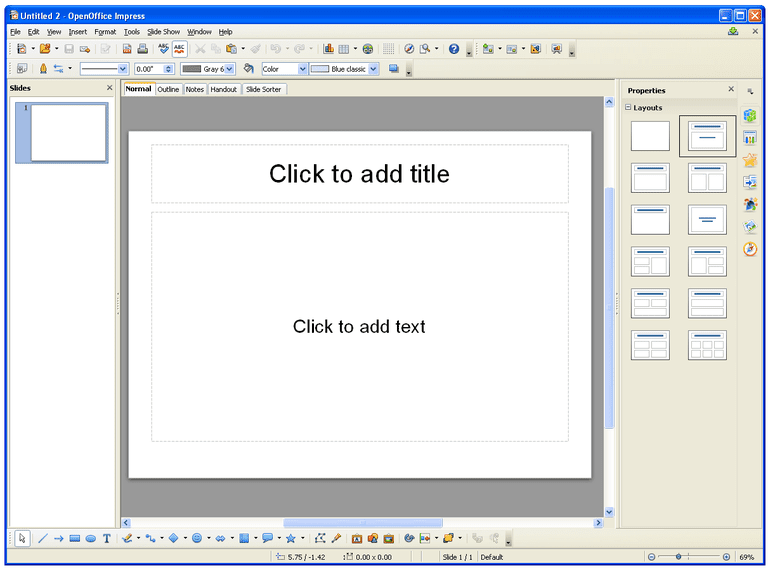 OpenOffice Impress is the free presentation software that's included in OpenOffice, which is an office suite that also includes a word processor, spreadsheet program, and database software. There are tons of great presentation making features in OpenOffice Impress and it supports all the common file formats that other presentation programs use. If the portable option is chosen, you're required to download the entire OpenOffice suite without the ability to selectively install Impress. There are so many features in OpenOffice Impress that I think it's a great program to use for making presentations. I especially like that you can use it in a portable form from something like a flash drive. Though I don't like that you're required to download the whole office suite just to use the Impress portion. This means you're downloading and storing files that take up around 500 MB of storage even if you only want to use the presentation software. I also like that OpenOffice Impress can open such a large number of popular file formats. Some of the more common ones include those found in Microsoft PowerPoint like POTM, POTX, and PPTM. 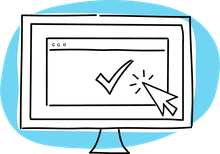 The interface isn't too hard to navigate through but I find Kingsoft Presentation to be much easier, and it even includes many of the same tools and features. The link below is for the Windows download. See the All Builds page for the Mac and Linux versions, and winPenPack for the portable one.